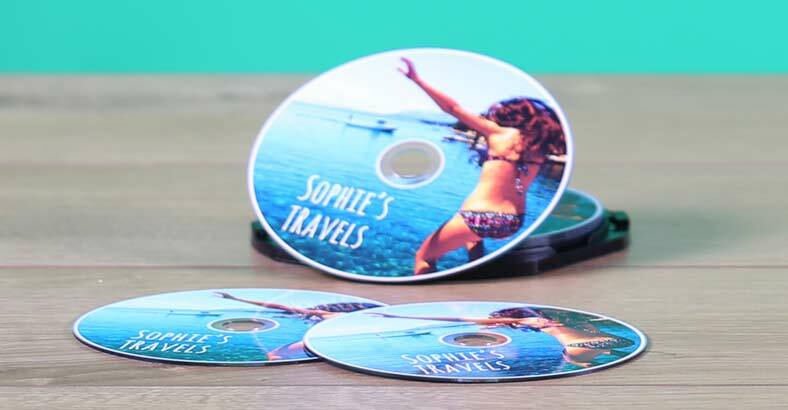 At Avery WePrint, we aim to make it as easy as possible for you to customise labels and stickers, business cards, cards, ring binders and laptop skins, as well as labels for CDs and DVDs. That’s why we developed the Avery WePrint Online Design Tool for creating your own personalised designs.The Design Tool is very simple to use. It also has some powerful features that are normally only available on expensive specialist software used by graphic designers. If you follow these five tips, you can make designs that look even more professional. They’ll also help you get the reaction you want, whether you aim to grab attention, engage customers, give information or all three. Some of these tips are based on Avery’s extensive research into labelling for small businesses. This was carried out among more than 1,000 British adults, and included eye tracking and experiments. The quickest short cut to becoming your own graphic designer is to use the ready-made templates on the Avery Online Design Tool. There’s a wide range of modern and traditional designs specially created for all Avery WePrint products. Templates are completely customisable, so you have complete control over backgrounds, text, positioning, and colours. People are hardwired to respond to visual stimuli. You can say a lot and get an emotional response by using pictures. Many studies, including Avery’s, have found that people are more likely to look at an item featuring a face – or an emoji. Hearts are another emotive image that get a positive response. To add an image in the Design Tool simply upload one from your own computer. There are plenty of image libraries on the web to source images from. Different fonts are needed for different purposes. For giving out information, a clear, standard font is best. Fancier fonts are great for special messages and headings. Interestingly, Avery research found that having some ‘handwritten’ text on a label gives an open and friendly appearance. It was also found to increase the potential for word of mouth recommendation. The Avery WePrint Online Design Tool has more than 40 fonts listed alphabetically, including all the most popular fonts and three different handwritten fonts. Text can be straight or curved. Curved text is great advantage for a professionally designed look, and perfect for round or oval labels. Straight text can go in any direction you like – there’s a circle underneath the text box to change the angle. With so many options available on the Online Design Tool, it’s temping to use them all! But this is where the principle of ‘less is more’ applies. Keep your design clear and uncluttered. If it’s too busy, it will be confusing and off-putting, and look unprofessional. A simplistic design is likely to have more impact than an overcomplicated one. Bright colours can be eye catching and are important for branding and creating the right look and feel. One of the most common design mistakes is for words or designs not to show up against a background. Make sure you use contrasting colours in order for text to stand out, especially from a distance. Avery research found that a strong strip of colour in the background draws the eye. You can create one in the design tool by clicking on ‘Shape’ and selecting a rectangle. Don’t worry if you’re not used to design software. Experiment as much as you like and save your design ideas to come back to later – it’s all completely free of charge. If you get stuck, just click on the Live Chat box, there’ll be someone from 9am till 5pm Monday to Friday (except bank holidays). To create your design, select your product , and get started.